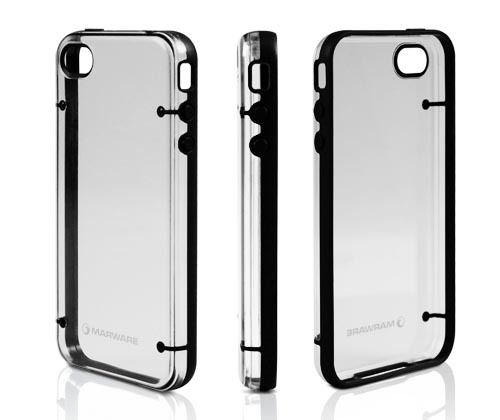 We introduced glowing iPhone 4 decal, now we have found another glow-in-the-dark inspired Apple gadget: DuoShell Glow iPhone 4 case by Marware. 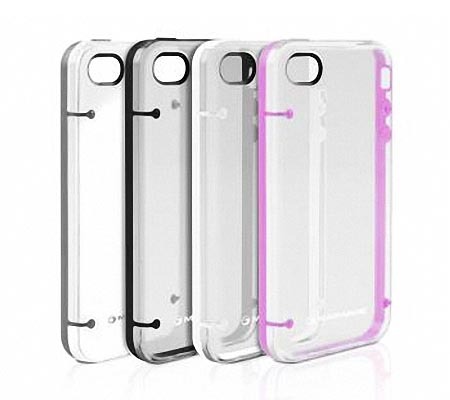 DuoShell Glow is a snap-on, clear iPhone 4 case. The protective case is made of polycarbonate, and comes with raised, semi-soft rubberized front frame in order to provide you comfortable grip, and effectively protect the iPhone 4 from scratches and bumps, while the clear back also lets you present your favorite vinyl decal. More interesting, the iPhone 4 case features a variety of glow-in-the-dark color schemes to provide you a more fun way to offer your iPhone 4. Apart from that, DuoShell Glow allows you access to all iPhone 4 buttons and functions via custom cutouts. 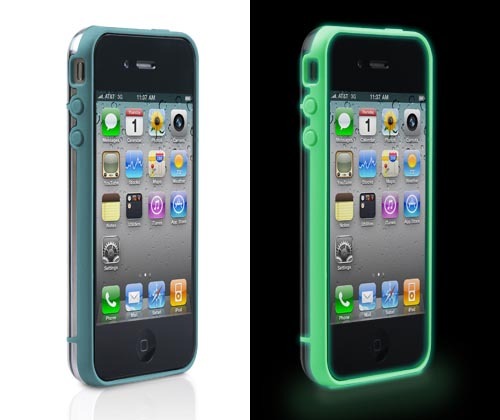 DuoShell Glow iPhone 4 case is available in two versions for AT&T and Verizon iPhone 4 models. Each one is priced at $34.99 USD, while the no-glowing DuoShell iPhone 4 case costs $29.99 USD. If you’re interested, jump to Marware official site for more details.